Nearly 80,000 of our South Jersey neighbors face hunger every day. They often skip meals to budget for other needs, making tough choices to get by. We work with more than 300 community partners to get food to people in need. But there are regions in Atlantic, Cape May and Cumberland counties that don’t have enough soup kitchens and food pantries to serve hungry men, women and children in those regions. That’s where our Mobile Pantries come in – serving food, help and hope in areas where there is high need and limited food resources. Our Ventnor Mobile Pantry is one location that distributes healthy food among hundreds of people every month. We spoke with some of the people we serve, who told us what the Community FoodBank of New Jersey means to them and how this food helps them survive and thrive. For Gregg, the Mobile Pantry means he will have food for the month. He suffered a stroke a few years ago and appreciates that the Mobile Pantry provides seasonal produce, heart-healthy legumes and grains, and lean protein. Because of other expenses, he often struggles to afford fresh fruits and vegetables, which are more expensive grocery items. The Mobile Pantry helps Gregg put them on his table. Jackie, 67, is also grateful for the healthy food she receives at the Mobile Pantry. 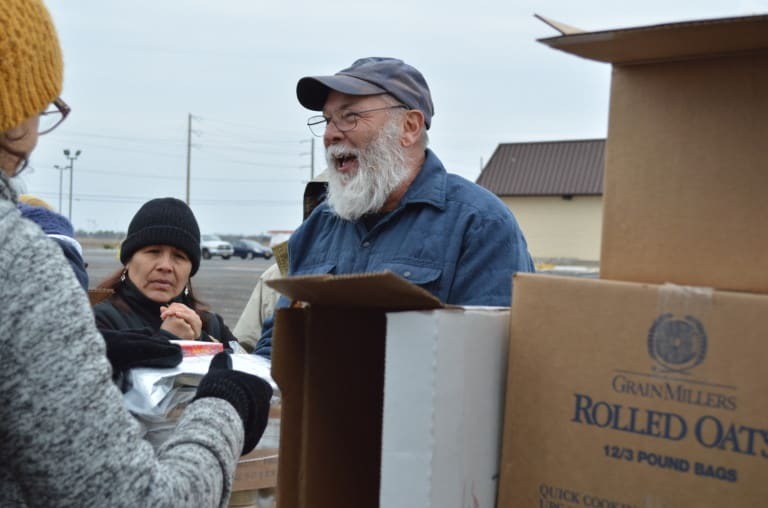 Jackie started coming to the Mobile Pantry after her husband died and she faced tough times, often not knowing when or if she would have something to eat. The FoodBank’s Mobile Pantry saved her. Clarice, 61, was filling her cart with nutritious food for her family while planning what she would cook for dinner that night. She told us the Mobile Pantry means a lot to many people in the community. It means the difference between eating and not eating.